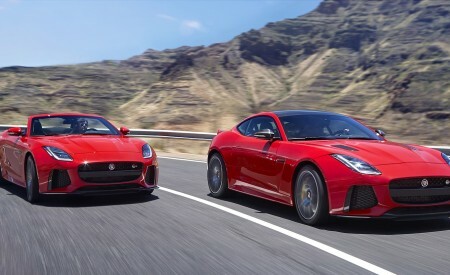 F-TYPE Chequered Flag Limited Edition Coupé and Convertible revealed, celebrating 70 years of Jaguar sports cars since the XK 120’s introduction. 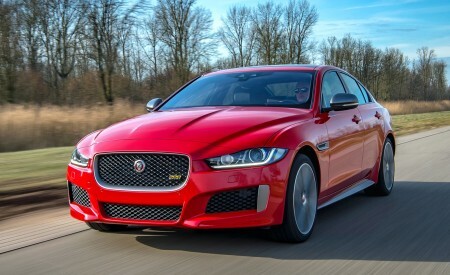 Features include Chequered Flag badging, and unique branding on the headrests, tread plates and dark brushed aluminium centre console finisher. Windsor Leather interior with embossed Performance Seats, Ebony Suedecloth headlining and steering wheel with red top centre marker. 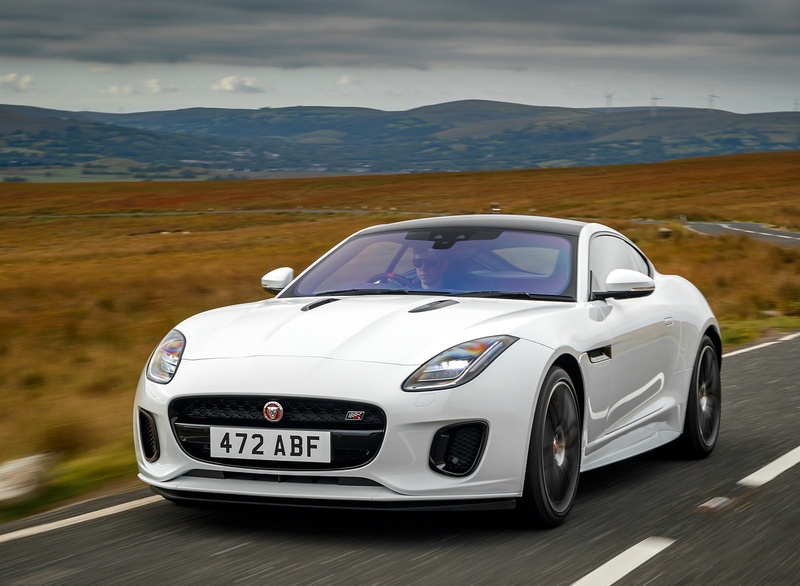 Touch Pro infotainment system now with Apple CarPlay and Android Auto. 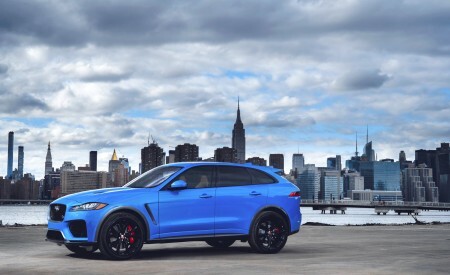 Available in Caldera Red, Fuji White or Carpathian Grey matched with Black Contrast Roof* and 20-inch wheels in Gloss Black with Diamond Turned finish. 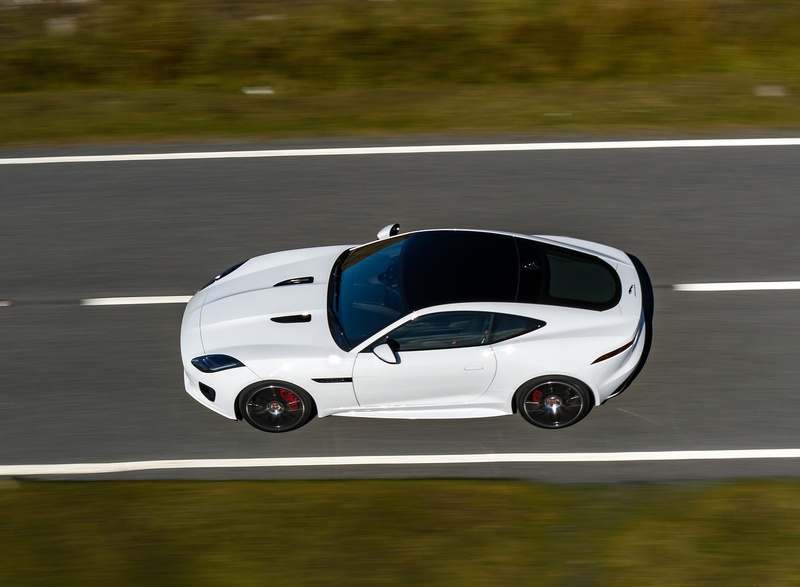 Powered by the 300PS four-cylinder and 340PS and 380PS supercharged V6 engines exclusively with eight-speed Quickshift transmissions. 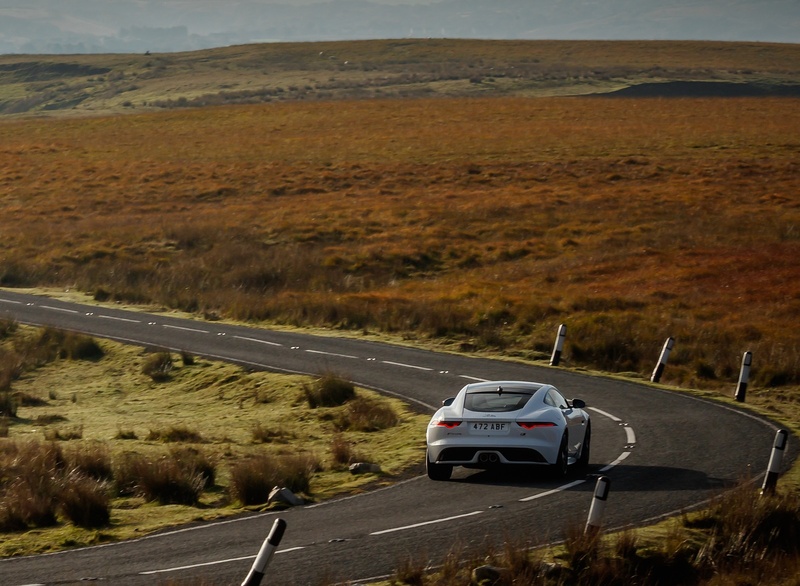 Refined damper tune on F-TYPE R, improving ride comfort at low speed. 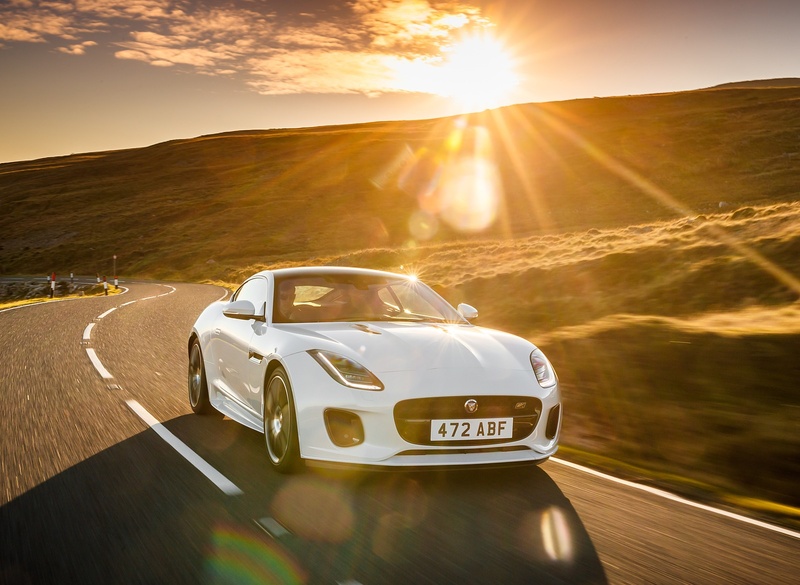 Watch a video of the F-TYPE Chequered Flag Limited Edition here. 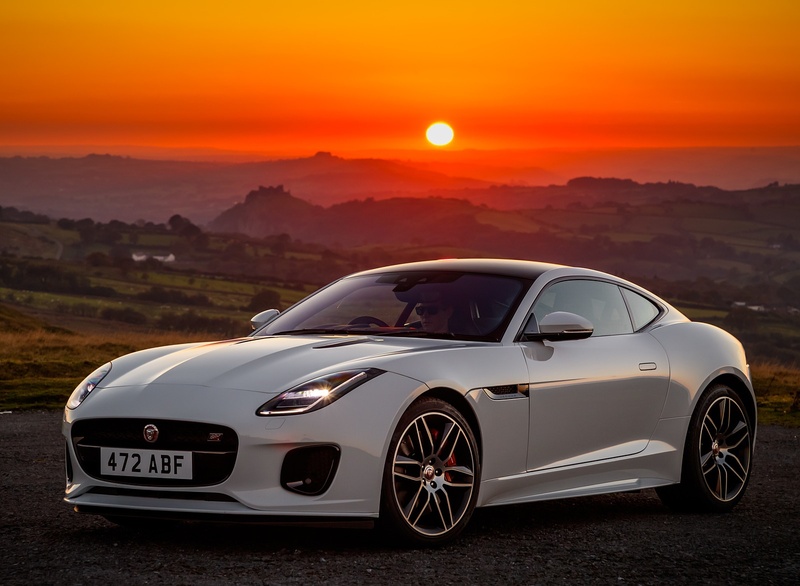 Based on the F-TYPE R-Dynamic Coupé and Convertible, and available with powerful four- and six-cylinder engines, the Chequered Flag features a range of subtle visual enhancements to the exterior and to the driver-focussed “1+1” cabin. 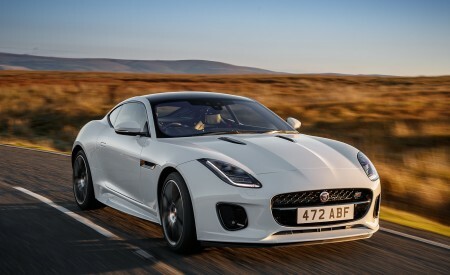 Highlights include a Black Contrast roof on the Coupé and a luxurious Windsor Leather interior featuring Performance seats with embossed headrests, a Dark Brushed Aluminium centre console trim finisher and – in recognition of Jaguar’s motorsport successes – a steering wheel with discrete Chequered Flag logo and red leather band to mark the 12 o’clock position. 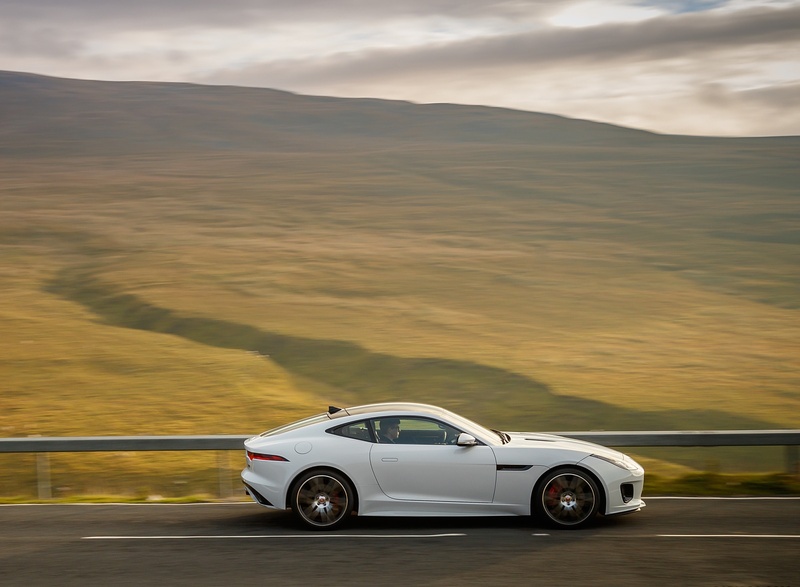 Perfect proportions, design purity and visual drama – every Jaguar must express these qualities, and none more so than F-TYPE. 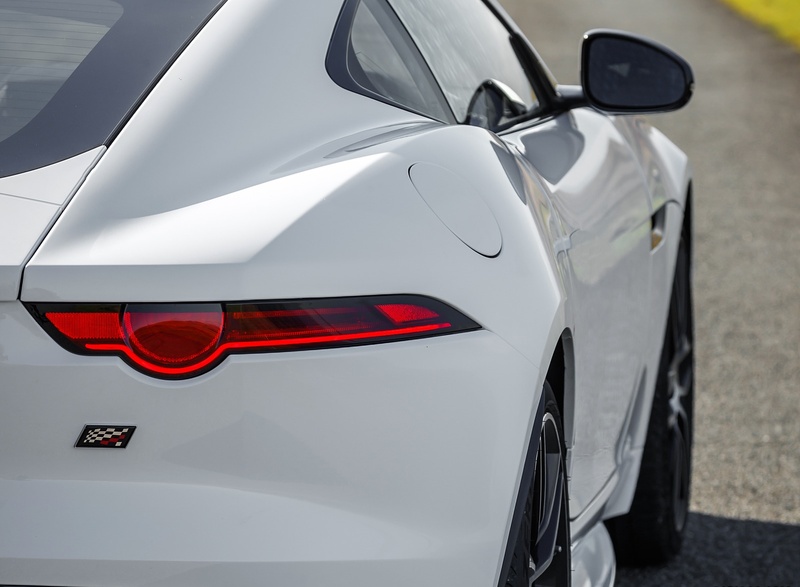 In creating the Chequered Flag we’ve focused on details which enhance F-TYPE’s presence and promise of performance – and in doing so, made a fitting celebration of 70 years of beautiful, fast, Jaguar sports cars. 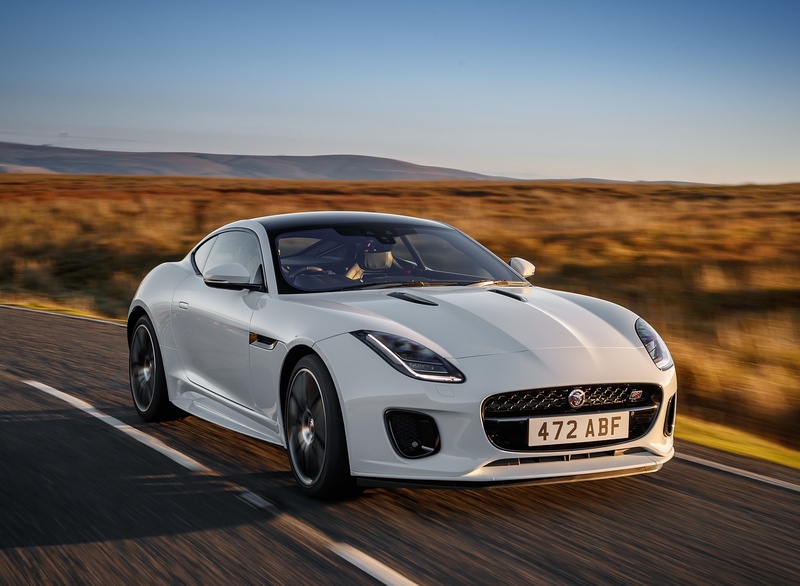 The F-TYPE’s exquisite, perfectly-proportioned exterior is enhanced by the Exterior Black Design Pack, which benefits from SVO extended side sills to subtly increase visual width and give the car even greater presence and poise. 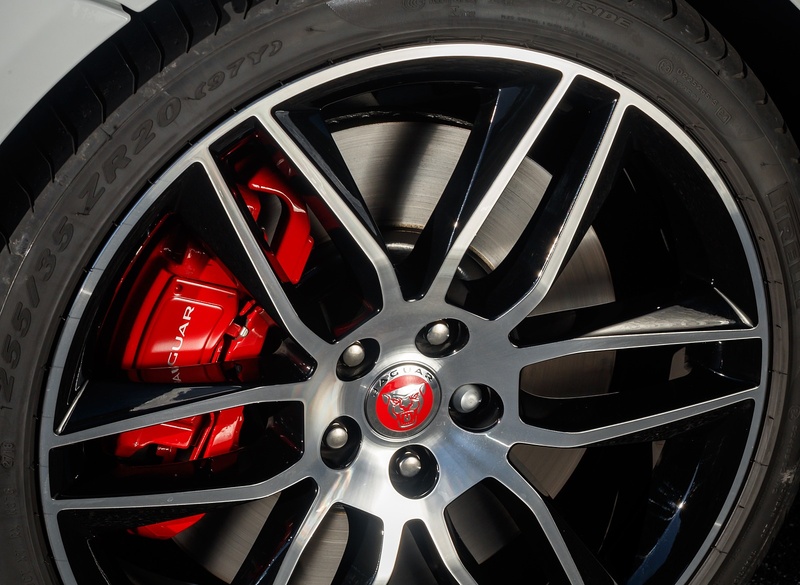 The 20-inch Gloss Black wheels with Diamond Turned finish are exclusive to the Chequered Flag and perfectly complement the red finish of the brake calipers. 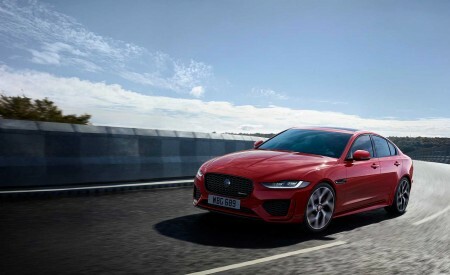 The Chequered Flag’s superbly-crafted Ebony Windsor Leather interior is offered with contrast stitching in a choice of Red or Cirrus. The slimline Performance seats, with optional heated and cooling functionality, feature headrests embossed with Chequered Flag branding. 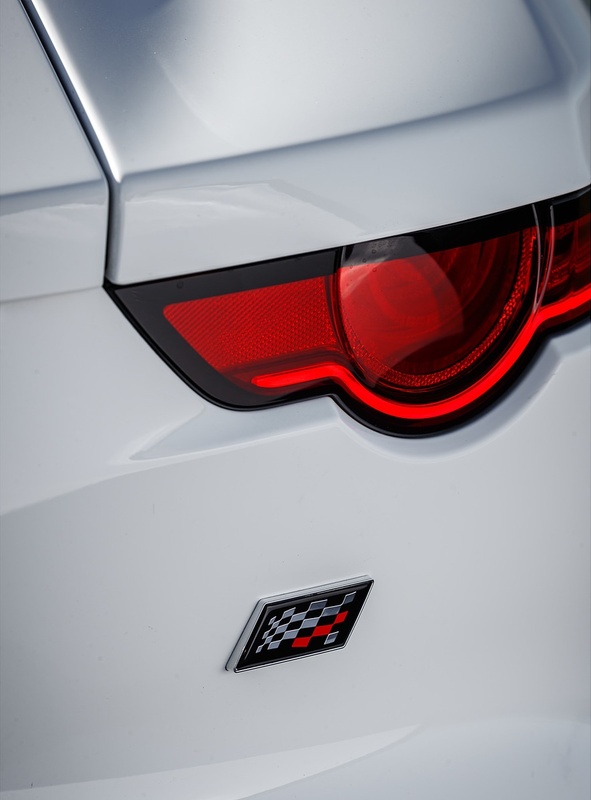 In place of the F-TYPE R-Dynamic’s Delta aluminium centre console trim, the Chequered Flag features a Dark Brushed Aluminium finisher. The texture and finish of this material perfectly complements the Ebony Windsor Leather. 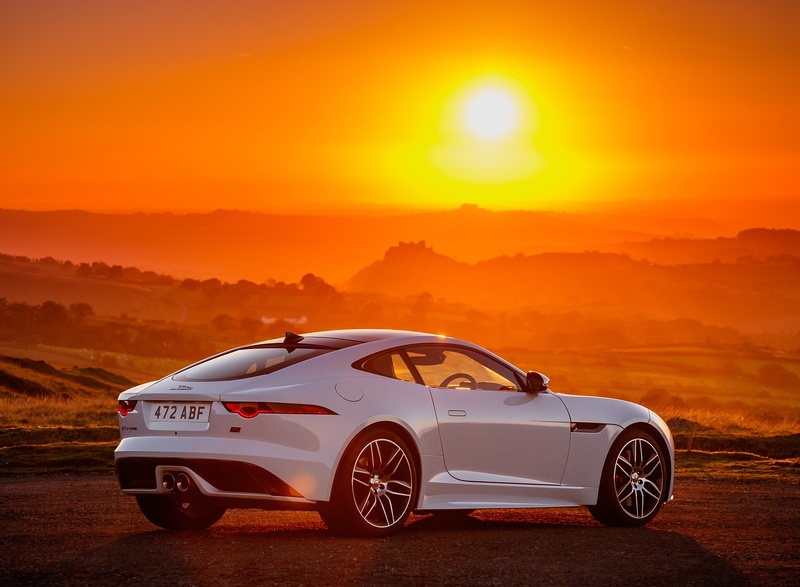 The Touch Pro infotainment system features Meridian audio, a suite of connected services and, for the first time in F-TYPE, Apple CarPlay and Android auto to make it easier than ever to access tailored smartphone apps using the 10-inch touchscreen. 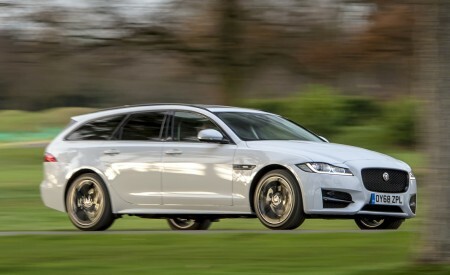 Power comes from the 300PS/400Nm 2.0-litre four-cylinder Ingenium petrol engine or the 340PS/450Nm and 380PS/ 460Nm supercharged 3.0-litre V6 petrol engines. 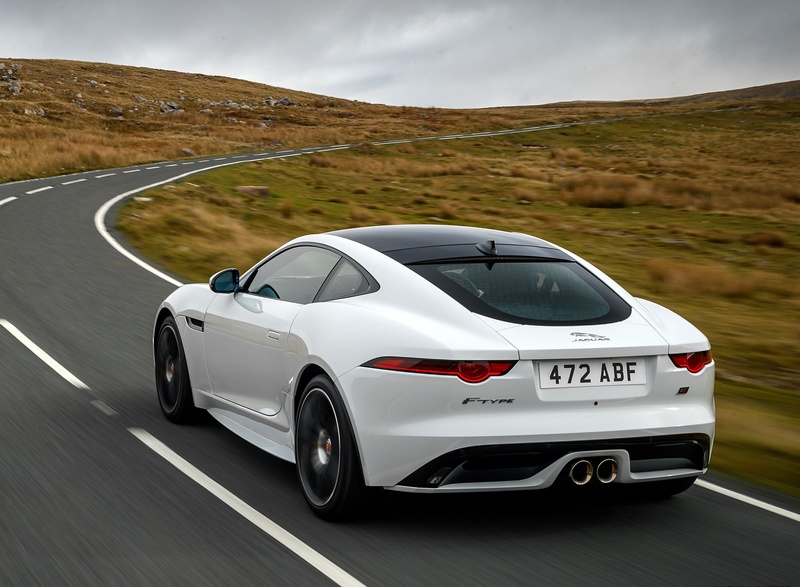 All offer an outstanding balance of responsiveness, power and efficiency – and all with a visceral soundtrack which reflects the F-TYPE’s truly driver-focused character. 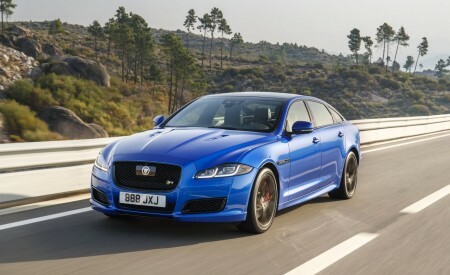 All engines are matched to eight-speed Quickshift transmissions and send drive to the rear wheels, or – in the 380PS models – the choice of Jaguar’s all-wheel drive system with Intelligent Driveline Dynamics. 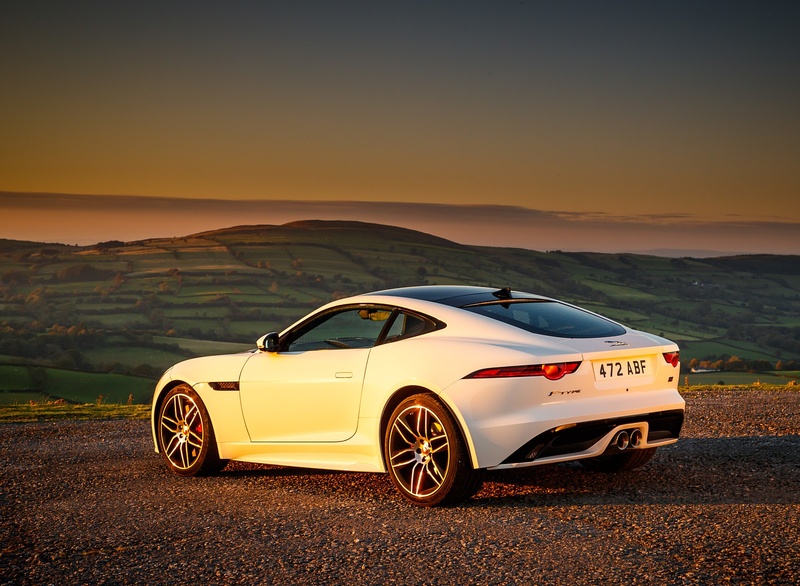 Taking learning from the SVR derivative, the damper tune on the F-TYPE R Coupé and Convertible models has been refined, giving an improved level of ride comfort at low speed. 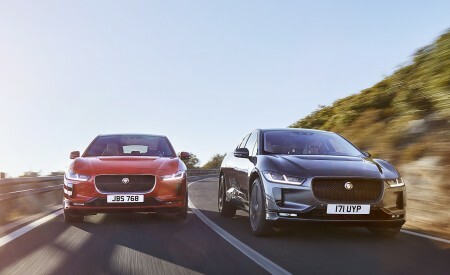 This has been achieved by reducing the damping by 24% at the lower damping velocities (up to 0.3m/s), whilst increasing overall capacity by up to 30%. 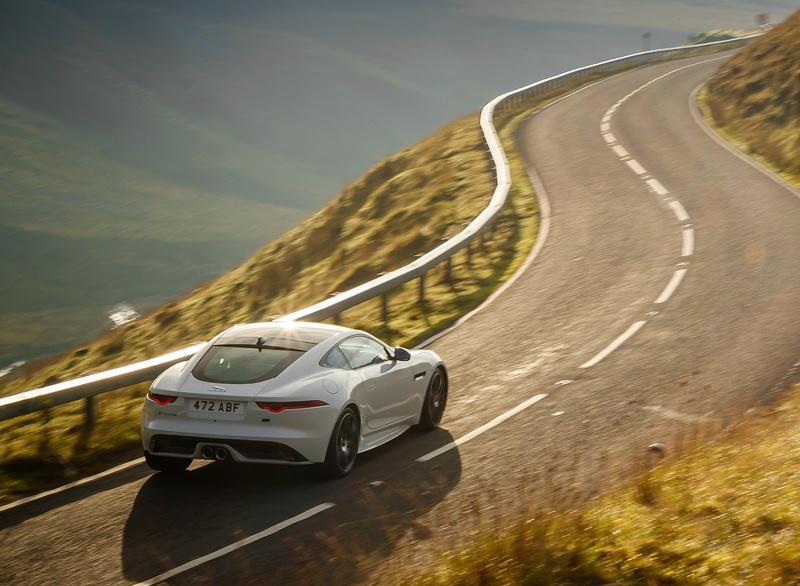 Additionally, the rear upper ball joint from the SVR has been incorporated into the F-TYPE R, with modifications to the rear knuckle and upper control arm, further enhancing capability and system robustness. 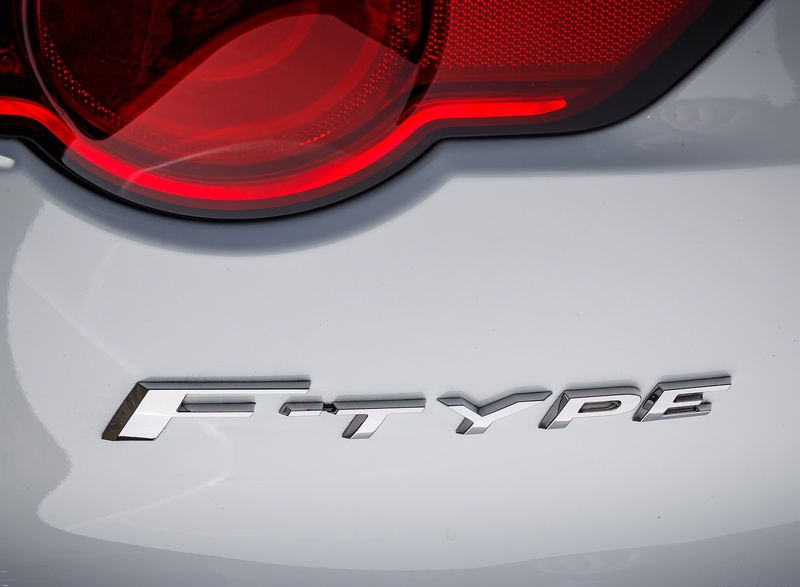 The rear camera and front park aid are now provided as standard across all F-TYPE derivatives.